Supply and Demand What Is Power Pumping? Power pumping is a way to help boost your milk supply for nursing and pumping. 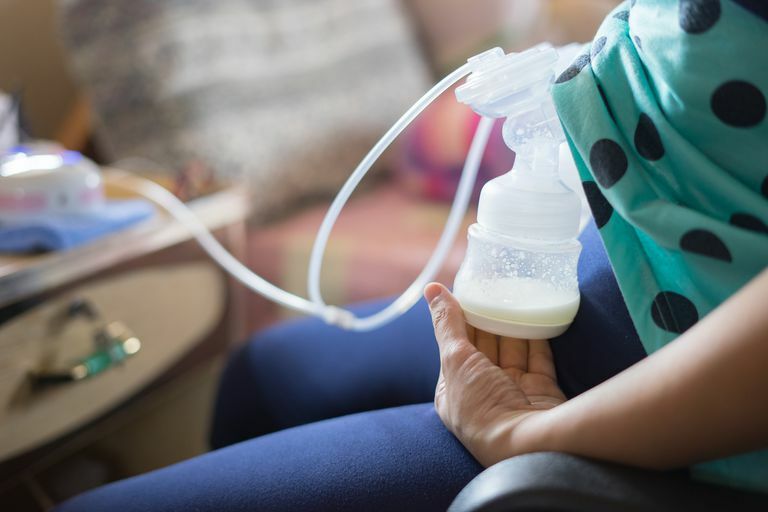 Lots of nursing or pumping moms wonder whether their milk supply is adequate, and if you’re worried that you need to produce more or have been encouraged to boost your supply, power pumping might help. Before you undertake power pumping, there are some things to keep in mind as to why there might be a drop in your milk supply as well as other ways of increasing supply. Your milk supply can vary over time—even over the course of a day, your supply can wax and wane, and over weeks and months, it can change as well. If you’re nursing on demand with no other supplementation or pumping, then your supply generally adjusts to the demands of your baby. If you’re doing a combination of nursing and pumping or exclusively pumping, the issue of supply can get a bit trickier for a variety of reasons. A nursing baby is more effective than any pump, so maintaining an adequate supply can be more difficult when pumping. If you’re currently breastfeeding full-time and are trying to pump to build up a freezer stash or to store some for an upcoming short separation, it might be difficult as well. If you’re nursing regularly, pumping is just “extra” milk. This means you might have to pump several times to get enough milk for one feeding—and that’s normal. It’s also normal to have an oversupply of milk in the first few weeks or months after birth. Then when your baby gets into a routine and your supply regulates itself, sometimes there is a decrease—but a decrease is only relative to the oversupply you once had. Hormones also play a role: ovulation and menstruation can cause a brief drop in supply. Other things that may temporarily diminish your supply include being sick, certain medications, alcoholic beverages, high stress level, lack of sleep, not drinking enough fluids, and not consuming enough calories. All of these factors should be taken into consideration. It’s easy to fall behind in any of these areas and unwittingly decrease milk supply. Fortunately, these are all easily fixed or accounted for. If you have a double electric breast pump and are wanting to boost your milk supply, you may have heard of “power pumping.” Power pumping is meant to give your supply a nudge. It simulates cluster feeding, which is when your baby nurses very frequently, so your body starts producing more milk. Power pumping doesn’t take the place of regular pumping or nursing, but it's meant to be done in addition to your normal routine. Pump for 20 minutes, rest for 10 minutes. Pump for 10 minutes, rest for 10 minutes. For the rest of the day, follow your normal pumping and/or nursing routine. While some women do this twice a day, once a day should also be sufficient. If you do this for two or three days, you’ll likely start to see results. Some women say that it takes four to seven days to yield results, and some women don’t see a change at all. Once you start seeing changes, you can cut out the power pumping sessions until you think you need another boost. If you nurse, nurse more frequently. Add an extra pumping session or two to your usual routine, or pump on one side while baby nurses on the other. Make sure to pump long enough; keep pumping for two to five minutes after you see drops of milk. Breast massage or breast compression can help with stimulating lactation. Use a larger pump flange. Eat protein-rich foods and drink enough fluids. Supplement with fenugreek; ask your doctor if this is safe before using it. Power pumping might help some women, but for others, it may not be what you’re looking for. There are a lot of reasons your milk supply might run low—if it is, in fact, actually running low. If you’re nursing in addition to pumping, your supply might be fine. You could be experiencing a change in volume since a baby is more effective at getting milk than a pump. If you are concerned about your supply, talk with your doctor and find a lactation consultant and make an appointment to see if there really is a problem with your supply, and what her subsequent recommendations are. Fed Is Best Foundation. Segrave-Daly J. Power Pumping: Does it Work? 2016. KellyMom. I’m Not Pumping Enough Milk. What Can I Do? 2018. Lansinoh. Power Pumping: How to Increase Your Milk Supply. 2019.